France and Saudi Arabia reached agreement last month on a grandiose cultural and tourism collaboration that is not only a coup for President Emmanuel Macron’s soft-power diplomacy but may also be a major vehicle of change in the Middle Eastern kingdom. The 20-page document, seen by The Art Newspaper, was signed in Paris by France’s foreign minister, Jean-Yves Le Drian, and Prince Badr bin Abdullah Al Saud, the governor of Al-Ula province, in the presence of Macron and Crown Prince Mohammed bin Salman Al Saud (known as MBS). Hailed as “historic” by the Saudi media, the ten-year deal gives France an exclusive role in a project potentially worth tens of billions of euros in an area almost the size of Belgium. It also confirms the role that culture, tourism and the arts could play in the opening-up and modernisation of the country, in line with the Crown Prince’s Vision 2030 plan. Al-Ula is home to Al-Hijr, a Unesco World Heritage Site since 2008, currently closed to tourists and visited only by a privileged few. Located in north-west Saudi Arabia, it consists of spectacular canyons and rock-carved tombs around Mada’in Salih, once known as Hegra. The oasis was a trading outpost of the Nabataean kingdom, 550km south of its capital, Petra, in modern-day Jordan. It includes remains of the Lihyanite culture and the Roman occupation. The idea of opening up the area to international tourism arose at a meeting between Macron and MBS, the day after the inauguration of the Louvre Abu Dhabi last November, and a few weeks after the announcement of MBS’s plans to build Neom, a $500bn high-tech mega-city on the Saudi border with Egypt and Jordan. The deal was negotiated by Macron’s special envoy, Gérard Mestrallet, the chairman of the energy and utilities group Engie, which has invested in power and water facilities in Saudi Arabia. He was assisted by Didier Selles, who in 2007 negotiated the €1bn agreement with the United Arab Emirates for the Louvre Abu Dhabi. Financial details have yet to be finalised, but, according to a French diplomatic source, the contract fee alone—“in recognition of France’s intrinsic value as the world’s top tourist and cultural destination”—could be worth several billion euros. Macron has decided to devote this windfall to a fund for French monuments and museums. The kingdom has pledged to bear all costs, including the budget of the French agency that will be set up this spring. Led by Mestrallet, it will represent the French side of the project and will also select the experts and companies for its implementation. Saudi Arabia has vowed to entrust French institutions and companies with the majority of the contracts. No time is being wasted: a joint committee is due to be appointed this month and a consortium chosen to take care of the masterplans. These will cover all areas, including culture, sustainable tourist infrastructure, natural resources management, education, training, transport and urban planning. To develop Al-Ula as a site of “touristic excellence”, more than 20 French cultural, scientific and educational bodies will be mobilised so that an overall implementation agreement can be signed by the end of the year. A €150m memorandum of understanding has already been agreed with Forum Campus France (acting for 350 universities and research centres) to welcome Saudi students from this autumn. The Louvre will be the main partner for the cultural part of the programme, along with the Musée National des Arts Asiatiques-Guimet and French archaeological services. An Institut Français will be set up in Al-Ula, and the Institut du Monde Arabe in Paris is planning an exhibition on the province for next year. France will help to extend excavations all over the province, protect the tombs and temples, and open an archaeological museum. More ambitiously, the Saudis also foresee a second “world-class museum and research centre” dedicated to the history of the Arabian peninsula. It could be two to three times the size of Louvre Abu Dhabi, according to a Saudi source, and its acquisitions budget as high as $100m a year. The agreement includes support for education, training, crafts, local trade and agriculture. The programme is to “respect the landscape, the natural environment and the cultural heritage” and adhere to Unesco norms. Its impact could be wide-ranging. 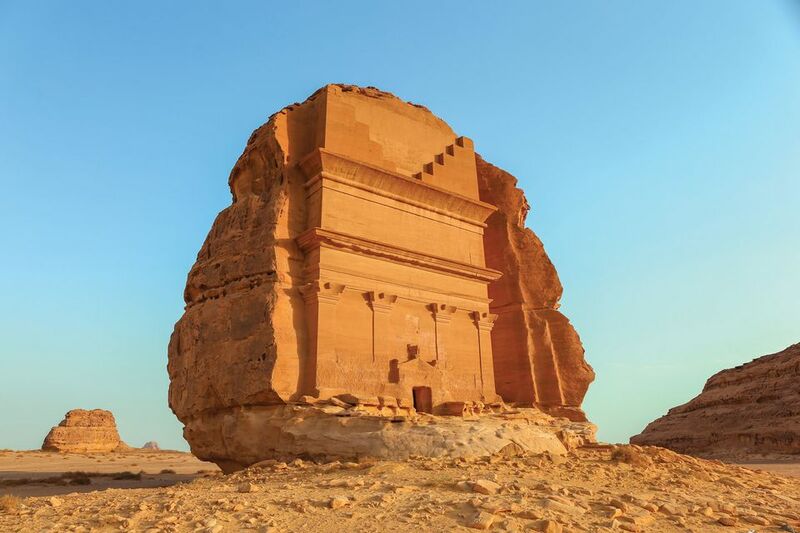 Pre-Islamic cultures, a sensitive matter in conservative Islamic circles, are now officially considered to be important heritage in Saudi Arabia. The agreement states that educational and scientific institutions must be “in conformity with the strictest international rules”, which means freedom of expression and gender equality, according to French diplomatic sources. France will also help to draw up a legal framework for the province “in derogation”—that is, exempting it from certain laws and rules in force in the kingdom. “Based on the most efficient norms”, it will have to meet criteria for “international exchange and tourism”, implying the provision of amenities such as pools, cinemas and other entertainment facilities, which will be open to women as well as men. The Crown Prince has already announced that the same principles will apply to the projected neighbouring city of Neom. This specific legal system also covers rules for “urban planning and construction, protection of the environment, heritage sites, flora and fauna, as well as local craft businesses”. Using culture and tourism as a springboard, it will contribute to the deeper reforms sought by MBS, who backs a “moderate” Islam. “The ‘French touch’ could give credibility not only to the cultural projects but also to a new image of Saudi Arabia,” says a source close to Macron, who is confident that “this agreement may be followed by others”.